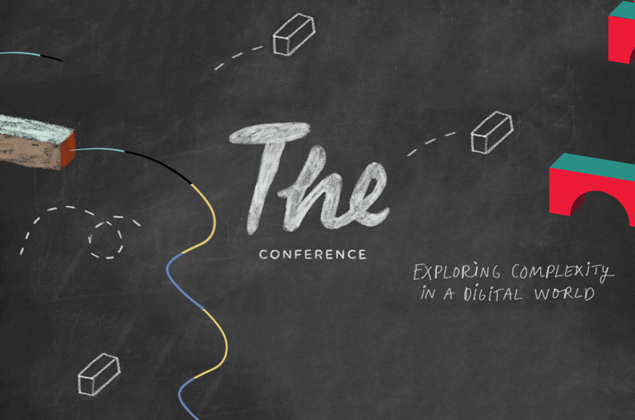 The Made in NY Media Center by IFP is excited to partner with Malmö’s The Conference, dedicated to the latest digital trends in all of their complexity and scope. We are presenting a live stream of their closing keynote from Nicole Yershon, Director of Innovative Solutions at Ogilvy Labs. Nicole will discuss the role of the entrepreneur, and how everyone at a company can take the lead to empower the changes needed. The Conference, held over two days in Malmö, Sweden, explores the complexity of our modern digital society. This yearly gathering gives insight into the international startup world and strives to give entrepreneurs the tools they need to succeed in today’s ever-changing tech landscape. In addition to the keynote, we are proud to host (in person!) Danya Cheskis-Gold, Director of Community for Spark Capital, a venture capital firm that invests in startups led by creative thinkers. A past speaker at The Conference, Danya challenges us to engage the broader community to change the world of tech. How do we make technology more accessible, and more inclusive of everyone? Her talk will be followed by a Q&A and group discussion. 10:30a – Danya Cheskis-Gold, Spark Capital on “How Community Building Can Be Used to Drive Change"
In The Conference's closing keynote session, Nicole Yershon will talk about the role of an intrapreneur. How everyone at a company can take the lead and empower the changes needed. We’re ending The Conference with a talk about how to be a disruptive force within an organization with an aim to build new relationships that make exciting, effective ideas a reality, no matter what. As Director of Innovative Solutions at Ogilvy Labs, Nicole will share her best tricks and experiences on how to put yourself in power of your situation inside a company. How to be an intrapreneur. As Director of Community at Spark Capital, Danya Cheskis-Gold helps startup founders and employees succeed through peer support, collaboration and shared resources. She currently oversees community and marketing, including communications and events. Formerly an evangelist and recruiter for Teach for America and a founding employee and leader of culture and community at Skillshare, Danya is a connector who aims to build and strengthen communities, create greater access for more people, communicate with transparency and promote learning through sharing. Spark Capital is a venture capital firm that invests in startups led by creative thinkers. They partner with imaginative entrepreneurs who are driven to move people with the products and experiences they create. Spark Capital are proud supporters of companies such as 1st Dibs, AdMeld, Slack, Superpedestrian, Oculus, Tumblr, Twitter, Warby Parker and Wayfair. The Conference aims to help you connect the dots that matter to you. The world appears increasingly complex, and to develop and grasp the opportunities ahead we need to be better at looking at the world from a wider array of perspectives. During two days we explore complexity and trends in the digital world of ours, take care of the context and the story of how everything fits together (just like at your favorite art museum) and invite 50 speakers from around the world to share their unique perspectives and insights. In the end, it all comes down to exploring our three main themes: Human behavior, new technology and how to make it happen. 2014, 50 % of the speakers were women. The Conference is organized by Media Evolution, a community of 400 companies thriving in the sharing is caring culture of Malmö and southern Sweden. It’s a non-profit event, where every single dime goes into making it an even better experience for you the next time.